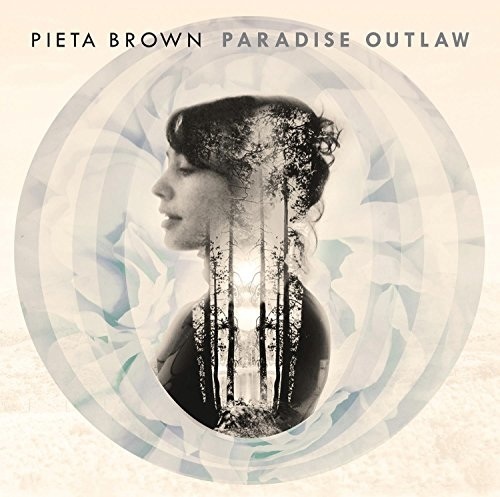 Paradise Outlaw by Pieta Brown. This singer/songwriter is no newcomer—she has been making fine albums for more than a decade—but she has yet to gain the recognition she deserves. On this pensive, ethereal and frequently captivating latest release, Brown—whose voice and phrasing remind me of Rickie Lee Jones—delivers an atmospheric collection of folk tunes. The set benefits from Bo Ramsey’s production, which incorporates sometimes-lush orchestration while retaining a sense of intimacy. All the songs are credited to the singer except “Do You Know?,” where she shares vocal duties with cowriter Amos Lee, and Mark Knopfler’s “Before Gas and TV,” where her father, the incomparable Greg Brown, contributes acoustic guitar. Many of the lyrics are as enigmatic as they are poetic; but even when you’re not sure what they mean, you’ll grasp her mood. A Scandal in the Violets by Michael Leonard Witham. Witham’s idiosyncratic vocals, which recall Leo Sayer, may not appeal to everyone, but on the best tracks here I find them compelling. Ditto his catchy, carefully crafted story songs about people whose lives are running off the rails. Folk/rock ballads like “Miss L.A.,” about a “desperate man with a shaky plan,” suggest that he deserves an audience. Chasing the Sun by The Sweet Lowdown. A female trio from Vancouver delivers harmony vocals on this fiddle-, mandolin- and viola-spiced folk CD. Song subjects range from nature to nuclear fallout to life on the road. The album breaks no new musical ground, but it’s a pleasure from first cut to last. North Star by Kyle Carey. A lilting collection of originals from a gifted Scottish folksinger who also proves to be a strong writer. The program on this gentle, melodic second album features nine of her originals, a pair of traditional tunes and a fine cover of Kate Wolf’s classic “Across the Great Divide.” If you like such artists as Nanci Griffith, this is sure to please. Lee Gallagher and the Hallelujah by Lee Gallagher and the Hallelujah. This San Francisco-based band’s organ-spiced music is anachronistic in the best way: it incorporates more than a hint of psychedelia and potent lead guitar and recalls the most anthemic tracks of Guns ’n’ Roses; I’m also reminded of more obscure 70s groups like Nektar and Pavlov’s Dog. Lee Gallagher, who wrote all of the material, is an intense and arresting vocalist, and his band is top-notch. It remains to be seen how wide an audience there is for this music today, but for the right ears, Lee Gallagher and the Hallelujah should qualify as great stuff. We Don’t Want a Dying Flame by Dave Desmelik. Desmelik’s ninth self-released album is a largely instrumental outing that spotlights his mellow, likable guitar work and eclectic original compositions. At its best, the record transports you to a place somewhere between George Winston Avenue and John Fahey Boulevard. Sake of the Sound by Front Country. This Bay Area bluegrass sextet mines familiar territory, but the results are attractive. Assets include talented violin and banjo players; well-chosen covers of songs by the likes of Bob Dylan and Kate Wolf; and, especially, soulful vocalist Melody Walker, who wrote two of the songs on this debut CD. In my view, the program is a bit uneven but standouts such as “One Kind Word” are auspicious.